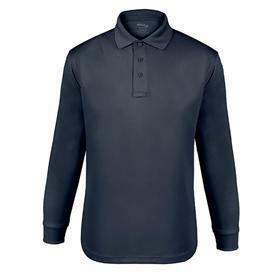 This performance polyester polo features Nano Moisture Wicking technology for 4-way stretch and mobility. It includes permanent moisture wicking, anti-microbial nanotechnology to reduce odor-causing bacteria, and UV 40+ protection. Soft to the skin, it maintains excellent durability and color fastness through multiple washings.